The Institute of Management Specialists UK invites you to attend the IMS Certification Seminar scheduled to hold on the 30th day of November 2016 at the Newton Park Hotel Abuja. 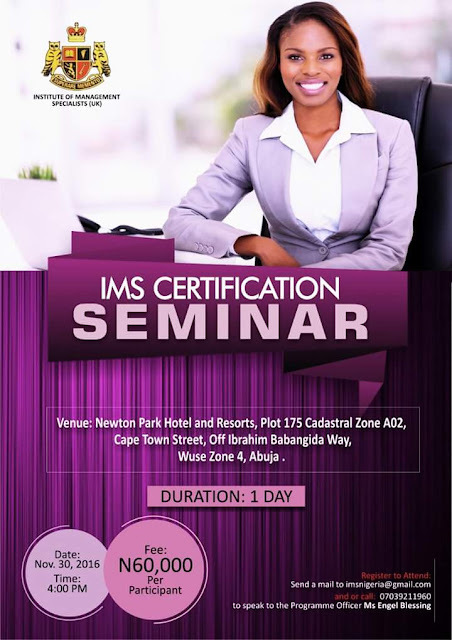 The IMS Certification Seminar is designed to serve as a forum for members and intending members of the Institute of Management Specialists to meet, interact, and exchange ideas and opinions about practical management challenges/experiences. It is a platform where knowledge is shared and networks are created. The Institute of Management Specialists (IMS) is a United Kingdom Professional Qualifications awarding body. Founded in 1971. The IMS is listed in British Qualifications – the British Council’s reference book, published by Kogan Page Ltd. It is also listed in the BTEC Higher National Professional Recognition & Progression Directory and is on the UK Register for Learning Providers (Provider Reference Number: 10035444). The IMS is a Member of the Confederation of Professional Awarding Bodies (COPAB). Visit www.instituteofmanagementspecialists.org.uk for more details. 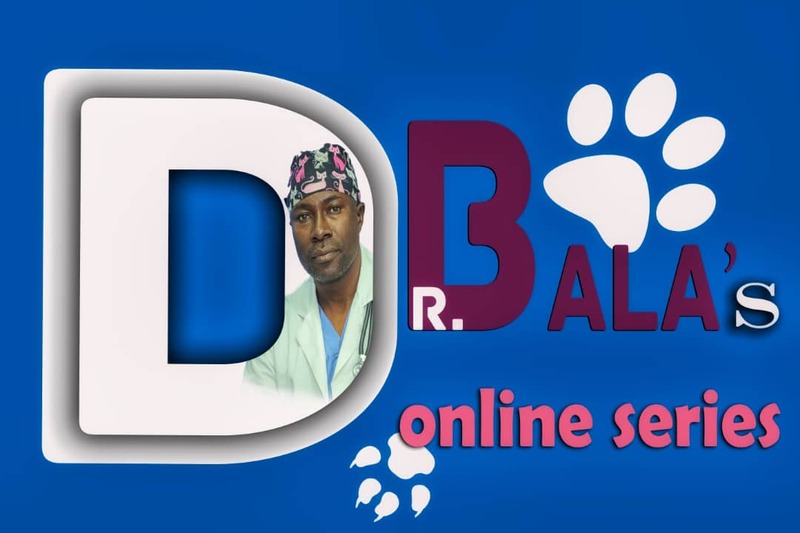 2.Gain Professional status and recognition. 3. Build your knowledge base. 4. Opportunity to build your network. 5. Receipt of the IMS E-Journal. 6. Position yourself as an expert. If you are attending as a group of two and above prospective members, you get a 20 percent discount.